• Broome is home to the rather famous Cable Beach Polo | Saturday, May 18 & Sunday, May 19 in 2019 where Beach polo is fast and intense with a small field of 125 metres by 50 metres, so you are never far from the action. Four teams play qualifying rounds on Saturday from 1:30pm to 4:30pm and finals on Sunday from 1:30pm to 5:30pm. The field is on the beach in front of the Broome Surf Lifesaving Club. • Broome's maximum temperature (°C) in May, June, July, August is 30°C to 32°C and minimum is 13°C-18°C at night. • Broome and the Kimberley region were home to Indigenous people for at least thirty thousand years prior to the arrival of Europeans. • Broome is located in the tropical north of Western Australia's Kimberley coast on the east coast of the Indian Ocean and easterly adjacent of Gantheaume Point. • Broome 2 climtaes Dry Season is April till October and Wet Season November till April. 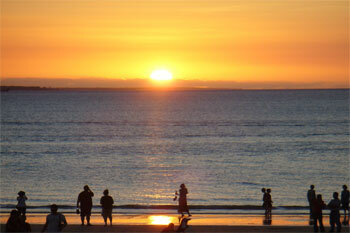 • Cable Beach in Broome is safe for swimming for most of the tourist season, but not during the wet season. From November to about May, even June, the northern oceans are inhabited by Chironex box jellyfish. Now the beach apparently was closed for a wekeek because of a Hammerhead Shark recently. Apparently there are no white pointers up here, they prefer cooler southern waters off Perth. Most hammerhead species are fairly small and are considered harmless to humans. However, the great hammerhead's enormous size and fierceness make it potentially dangerous, though few attacks have been recorded. • Complimentary transfers are not available from the airport/city to the branch. However all are accessible by bus, or taxi. • Total Distance = 2.3 kilometres / 1.4 miles Estimated Travel Time = 7 minutes. • Accessible by bus, or taxi. 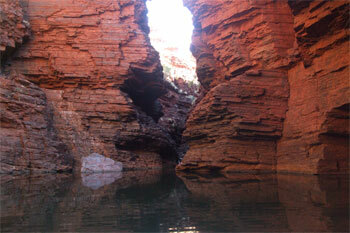 • West Kimberley Fishing Tours - Experience fishing in Broome, a great day out on the water. Tours for Sport or Barra fishing. Don't fish with a crowd, our low numbers allow you a fantastic day fishing. 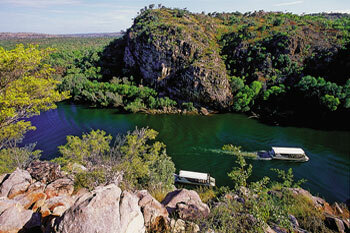 The Barramundi Tour is run on the Fitzroy River or local creeks to catch the Barra when they are running. The Sport Fishing Tour is a thrilling day of serious fishing which can be tailored to you needs. Whether you want creek or reef fishing, Jeff can drive you to catch the fish you have always dreamed of. The tour begins with a complimentary pick up and launching of the 7m walk around boat toilet on board. This is a “hands on” experience and allows the visitor to take in the views of the beautiful beaches of Broome. Fishing time is optimised as you are fishing in 15 minutes and with a maximum of six passengers it is the best way to fish with small numbers. All fishing gear and bait is supplied as well as food and water. Help for first time fishers is at hand and the experience is enhanced with the sighting of whales, dolphins, manta rays, sharks, sea snakes, crocodiles, birds and turtles. • Hoochery Distillery - Location: 300 Weaber Plain Rd We make award winning rum, we have the famous Ord River rum cake and we are well worth the drive! We are foremost a rum distillery that serves tea/coffee and cake all year round. During the season we serve lunches out in our function area and beer garden. We enjoy doing private functions like weddings and end-of-season parties. We have a range of merchandise that make great gifts plus our rum which is great to drink! • Smithys Seaside Adventures - Embalgun Experience Nyul Nyul country, on our stunning seaside community 60km from Beagle Bay on the Dampier Peninsula. Complete beachfront campsites operated by a local Aboriginal family. We have a selection of primitive and powered campsites with shower and toilet facilities. We also have a washing machine for campers to use. The property has over 200m of beachfront access right onto Pender Bay with excellent fishing and diving opportunities. 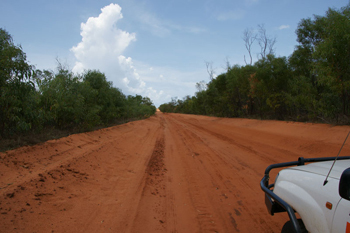 • Kimberley Fine Diamonds - Much further afield at the other end of the Gibb River Road actually more 2wd accessible from Darwin. Kimberley Fine Diamonds is one of Australia's leading suppliers of the world's rarest diamonds, the stunning Argyle Pink Diamond. An appointed Argyle Diamond distributor, its collection of exquisite pinks and natural coloured diamonds unearthed in Western Australia's far north east is quite simply unmatched. Established in 1991 by outback pioneer and jeweller Frauke Bolten-Boshammer, Kimberley Fine Diamonds is celebrated for its bold and daring handcrafted fine jewellery designs. As Australia's most remote diamond house, it is dedicated to crafting jewellery that reflects the vast colours and contrasts of the outback wilderness that is the Kimberley. Kimberley Fine Diamonds prides itself on quality, using superior local product - including Argyle Diamonds, Australian gold and Broome pearls in its breathtaking designs. With a full jewellery workshop on site, master jewellers, designers and gemmologists, Kimberley Fine Diamonds offers a full stable of highly qualified and creative staff to assist with customer needs. Kimberley Fine Diamonds takes an intimate approach to ensure customer satisfaction, working with clients throughout the jewellery design process, from the selection of precious stones, to the design and creation of the piece - ensuring clients receive an entirely unique, exquisitely finished product. Regarded as a cosmopolitan oasis in the outback, Kimberley Fine Diamonds invites lovers of quality jewellery to visit its boutique retail store in Kununurra or browse its extensive handcrafted collections online. • Malcolm Douglas Crocodile Park - Location: LOT 351 Broome Highway, Broome WA 6725, Australia - The Malcolm Douglas Crocodile Park has some of the largest crocodiles in Australia set amongst large Kimberley lakes. The Park is home to many species of Australiana including Dingoes, Cassowaries, many species of bird as well as 5 species of Crocodiles and Alligators. Enter another world through the jaws of a giant saltwater crocodile. Constructed over several months in 2005, the giant fiberglass head is already recognised as the best example of its kind in the world. The famous daily feeding tour showcases some of the largest crocodiles on display in Australia. 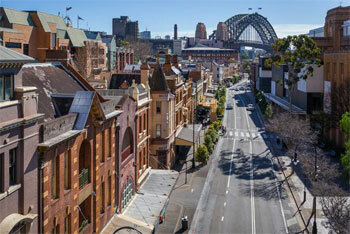 The shop museum showcases an extraordinary display of Malcolm's forty years spent producing his famous adventure films. These classic films can be purchased in the shop, as well as our exclusive range of saltwater crocodile product including wallets, belts, hatbands and crocodile teeth jewellery. Visitors can purchase drinks and ice creams, whilst relaxing in the outdoor seating area overlooking the natural 'Long Lake' system. Located only 15 minutes drive from Broome, we look forward to you joining us on a tour. • Broome Tramway & Pearl Farm Tours - Location: 2 Short Street, Broome WA 6725, Australia - SEEK ADVENTURE... Broome Pearl Farm Tours offers a guided journey of the exclusive Paspaley Pearl Farm, located in Roebuck Bay, just 3kms from Town Beach Foreshore, unravel the mysteries of the very unique pearling industry, an unmeasurable authentic experience not to be forgotten. A once in a lifetime adventure. These tours are only operating for a limited period. • Broome Hovercraft - Location: Port Drive, Broome (Minyirr) - Enjoy some magnificent and intriguing sights of the Broome town coastline and the wonders of Roebuck Bay. Hover over very low water, tidal flats and sand bars to places inaccessible by any other means. Learn about the history of Broome and check out the famous Dinosaur footprints left behind 120 million years ago.